So, you may have noticed I haven’t been updating the site lately, and may even be wondering why that is! The short answer is… Life. It has a way of getting in the way. That, and my power was knocked out for like a week. Let’s get more in depth. I’ve been at a new job, and looking for a new place to live, which has been draining, and taking time away from things I’d like to do until I figure out how to adjust my schedule. I’d like to say drawing is a priority to me, and it is, but not for the comic specifically. I really use drawing as a way to de-stress, and keep my mind occupied. I’ve had some family issues getting in the way as well, but that’s not really important to discuss here. I want to get back to putting more stuff up here as soon as possible, and I will try to make that happen ASAP. Until then I’ll just be posting whatever I can, when I can. Which means one thing at least, probably gonna have some better than normal (artistically speaking) stuff up here. I might even just update what’s going on in my life in some more posts. Who knows? For a guy who isn’t into IPA beers too much I sure did pick the wrong place to move! There are a ton of IPA beers down here in Georgia! On the plus side moving gave me a chance to grow as a person, and learn to appreciate things that I normally wouldn’t. 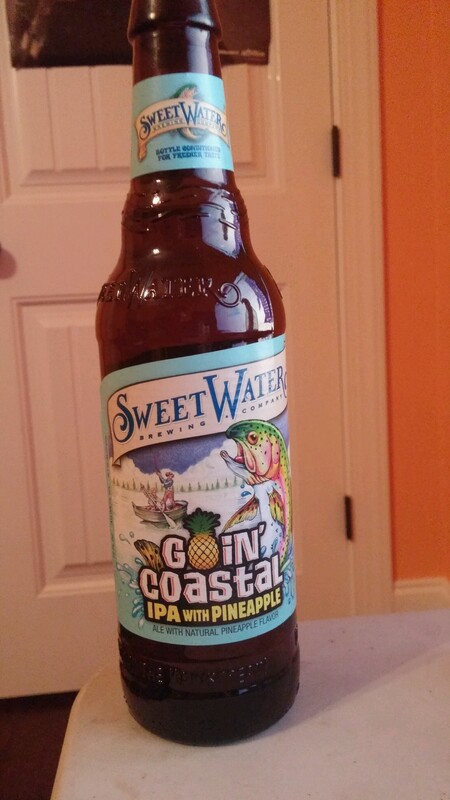 One thing I appreciate is Goin’ Coastal from Sweetwater brewing co. It’s an IPA brewed with pineapple, and it’s pretty good! Commercial Description: Slip into some sunshine and step off the grid by Goin’ Coastal with this pineapple laced IPA. The bright aromas of the five citrus hop additions are accentuated by the tropical fruit of the pineapple. And just like those three day weekends, its finish is quick. Golden copper in color with a full malt bill to bring the balance to our year round offering. It’s one of those beers where I feel the commercial description hits the nail on the head. Fruity scent, nice pineapple taste, and oddly enough it’s labor day weekend while I write this (although I don’t have a three day weekend, many people do during this time.) The citrus/pineapple taste improves the normal bitterness I find in IPA beers, and at 6.1% ABV it’s pretty solid for a good buzz. 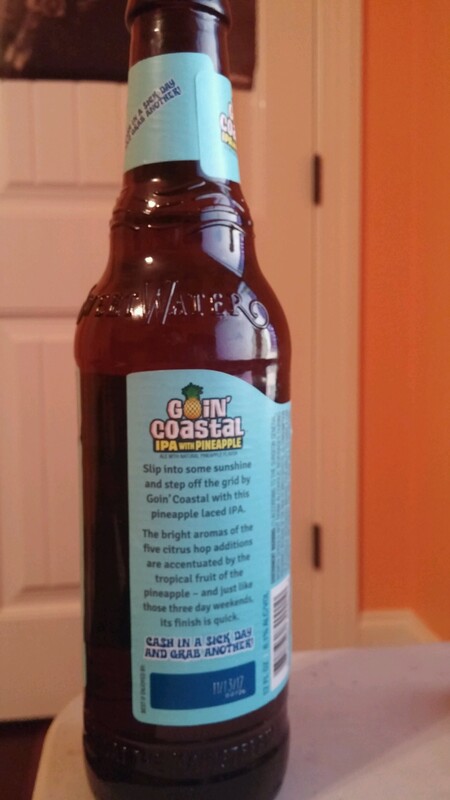 Now Goin’ Coastal is really not a beer you wanna chug a few in a row, unless your plan is to get messy/schwifty/drunk, but it is a good one to start off a night of drinking with, and then switch to a lighter beer after a couple of these. So this is another IPA that I personally suggest to people who don’t ordinarily like IPAs. Obviously don’t get it if you’re not a fan of pineapple, but this beer surprised me and I would be glad to find this both cold, and in my hand again at some point in the future. The fruity flavors, and the light bitterness make it an interesting experience, even moreso because it still has a pretty strong initial bite. Pick it up if you get the chance. I’ll be reviewing a couple more Sweetwater Brewing beers coming down the pipeline soon (Yes, I got another variety pack.) So stay tuned for more of those. 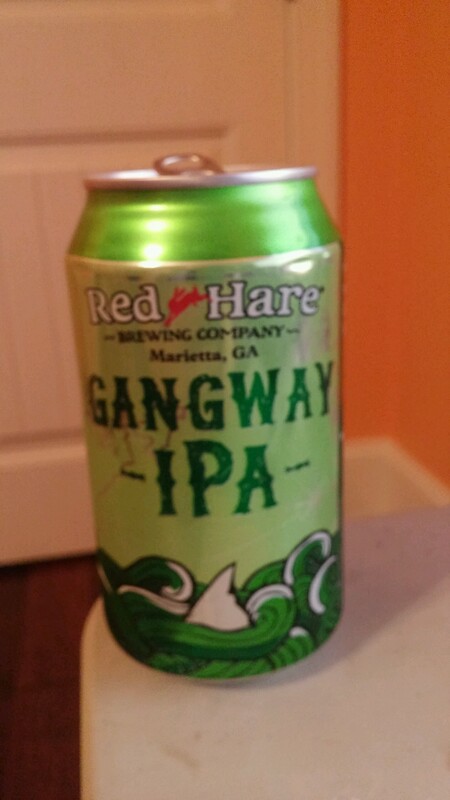 Straight outta Red Hare Brewing in Marietta GA is Gangway IPA. It’s a citrus flavored IPA. 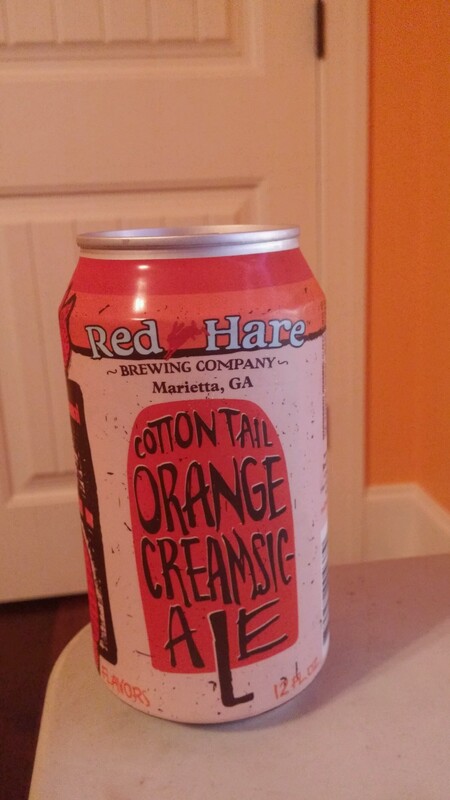 Y’all already know I’m not a fan of IPA beers, but this one is pretty interesting. Does it stand up to my lackadaisical reviewing? Let’s find out! Commercial Description: Gangway IPA is crisp, unfiltered, and golden in color and slightly sweet; hopped with Willamette, Chinook, Cascade and dry hopped with Falconers Flight. 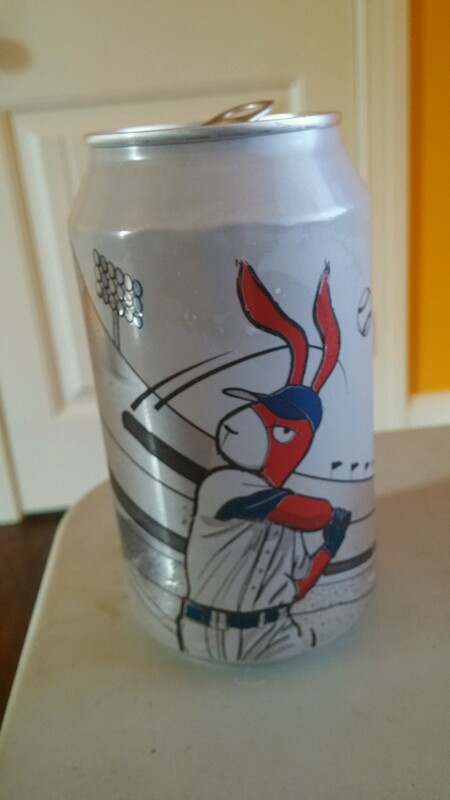 What’s the deal with this beer? 6.5% ABV which I like, but it has a bitter/rough bite for my taste. So what is it about this beer that I enjoy when so many IPA beers before it have fallen to the wayside? It’s just got a good blend of flavors, and that is impressive. I don’t normally enjoy using this word to describe things like beer, but this one is complex. 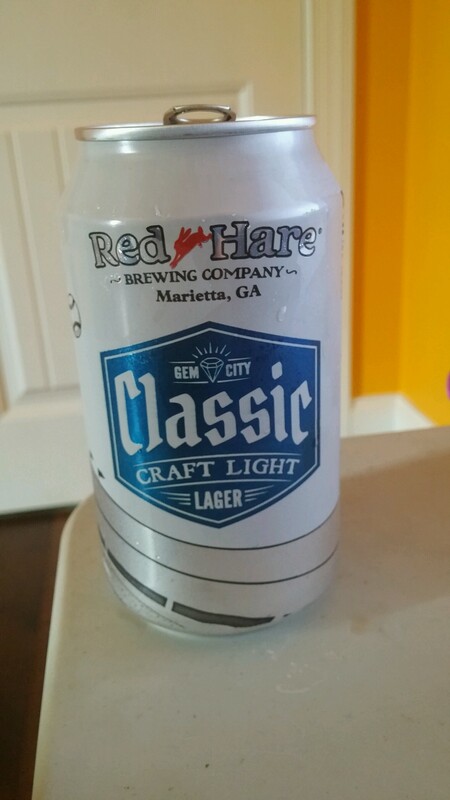 As I’ve mentioned it is a bitter beer, but it goes down surprisingly smooth. 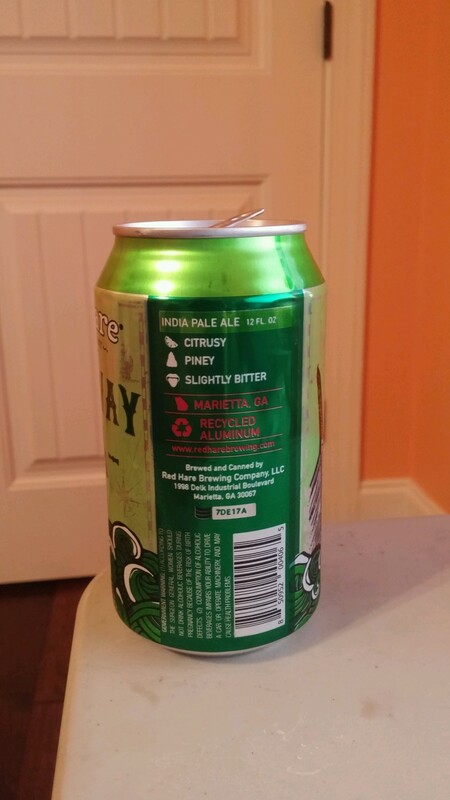 With a light odor, and a nice pine aftertaste, Gangway IPA is the kinda beer that might not find an easy audience, IPA fans might find it too different, and people who don’t like IPAs might not even pick this one up! If I weren’t the kinda person who likes to try new beers, I don’t think I would have gotten this, and that would have deprived me of a solid beer. 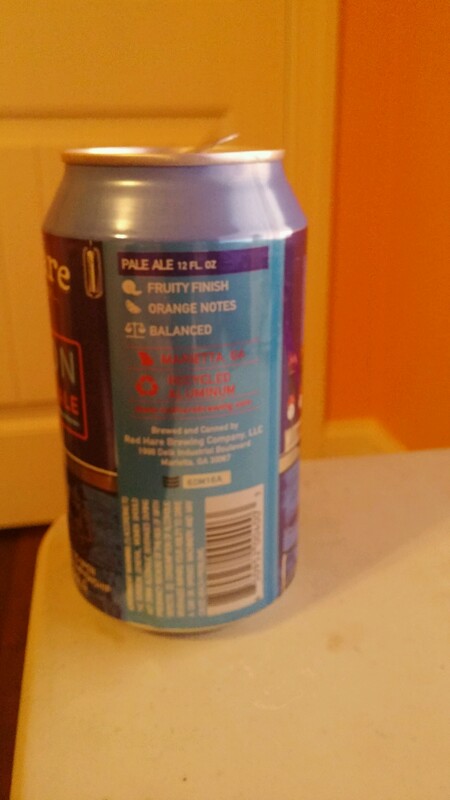 So at the end of the day, I found an IPA that I don’t mind, but it is still an IPA. Do I suggest picking it up? Absolutely! I think it’s a solid choice, and worthy of any IPA lovers line-up. 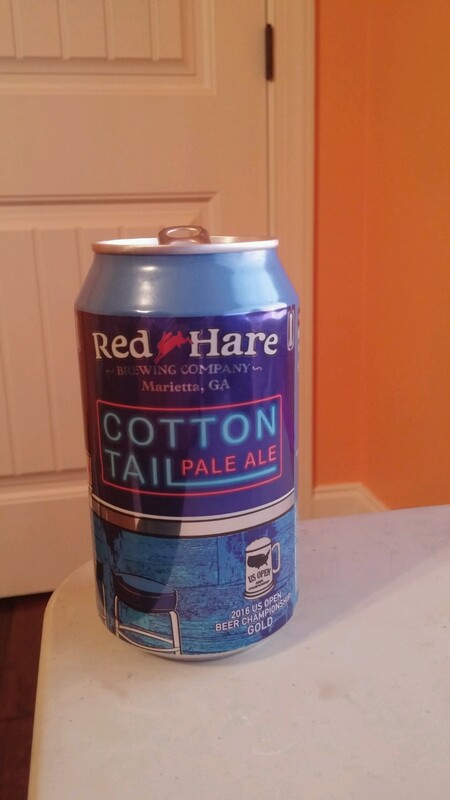 I will certainly be checking out more of Red Hare Brewing Company after trying this, and if I’m ever in the mood for an IPA I know I’ll be grabbing this.